The ChessCube Referral System rewards users who refer (= invite) their friends, site visitors or other online chess players to ChessCube. How do I refer someone to ChessCube? http://www.chesscube.com/register/?referrer=username - and you substitute your username at the end. For instance, my referral URL will be: http://www.chesscube.com/register/?referrer=sean because my username is sean. NOTE: make SURE you change =username to YOUR username - otherwise you are referring users so that "username" gets all your rewards!!!! What are some good ways to get a new user to use my referral URL? 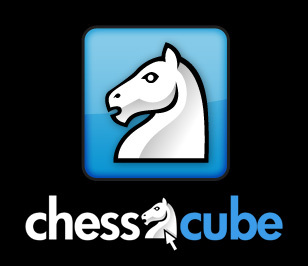 We strongly discourage spamming of your referral URL on every chess site or blog you go to; you will likely annoy users there and maybe will even make them dislike ChessCube. So you have to be considerate and careful with your approach to sharing your referral URL. Make sure you shorten your link (as above) - sometimes users have to type URLs and they will forget or mistype yours if it is not short enough. Also, users may dislike that you are listed as the referrer in the normal URL, and will remove that part. If you run a blog or a website, post about ChessCube and add your referral URL to your post and profile. Additionally, add ChessCube advertising buttons or banners (see below) to different places around your site, and make the click target your referral URL. Basically, just get creative and try different ways to encourage users to visit and sign up at ChessCube! Awards do not happen immediately, but are rather batch processed every week or month so that we can make sure that cubits or crowns are fairly awarded. Every month we check all referrals and if John2011 meets the requirements, we automatically award you 50 cubits and 10 XP. John2011 does not buy anything the first month, but buys $100 worth of ChessCube goods (cubits, crowns, videos) in his first order 4 months later. During monthly processing, we then award you 50 crowns for this order. So, if you have managed to invite many hundreds or thousands of users to ChessCube, these numbers will start to add up. 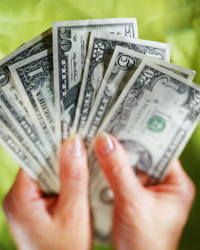 Ultimately this can mean more than just cubits - you can literally cash out your crowns for dollars! You can make REAL money by promoting ChessCube! Every week we will summarize the count of validated referrals per user. The person who has the most valid referrals wins an extra 1,000 cubits. Every month we will summarize the count of validated referrals per user. What is to stop me from referring myself? Of course we are aware with a system like this some users will not want to act ethically and will try all sorts of ways to cheat the system. We will be monitoring the IP addresses and computers that the users invited come in on, and if we determine that a user is just inviting himself and signing up with different email addresses, all entries for that user will bring no rewards, and, moreover, the user may be banned if this kind of cheating is excessive. We do NOT want many useless accounts from just one user. We are trying to encourage NEW users to come to ChessCube, so cheating in this way is pointless. We want more chess players to enjoy the site we love and are proud of - so please do not waste your or our time creating bogus accounts just to try to win cubits. What advertising images can I use for my blog or website? You can use any of our images, or, if you think that you can be more creative, create your own! How can I get people to click on my referral link? We recommend adding some "hooks" to your invitations instead of just sending out your referral URL. Why would someone want to visit a random site if you do not tell them what is good about it? How can you add appealing hooks? Simply add great reasons why others should join ChessCube. Think about a reason that would make YOU as a chess player want to join ChessCube. "Hi friends! Here's an invitation to join me at a really great chess site! Come challenge me, or play in tournaments that are scheduled 24/7, or chat with a great community on ChessCube. Join here: (your link)"
"Hey all - come play chess with me at ChessCube.com! This is the best social chess site on the web! Registration is free - simply click here to register: (your link)". "Hey everyone! Check out ChessCube.com! I absolutely love this site! Come join me in the best bullet chess tournaments online! Register here (your link)! See you there!" Please be honest when telling others about ChessCube. We are a great site - however we do not want users joining due to false advertising or by being mislead. If you're honest and enthusiastic in your approach, others will sense that and are more likely click your link to sign up. ChessCube reserves the right to amend, add to or change these rules and rewards at any time. We cannot anticipate all of the different ways in which some users will try to game this system to their benefit, so must be able to change the award criteria and processing in order to counter such users. If any changes are made, the updated rules will be posted here. so cc is offering 5% of an order. you might want to correct what i placed in quotes as you make it sound like cc is giving 5% of $1 and not 5% of the first order only. susanch wrote: so cc is offering 5% of an order. at first when i read i got the feeling that one of the rewards would be 5% of $1. i've highlited in green the words that confused me. the correct phrase might be 5% of the first order so the user can understand that no matter how big the first order is, he will get 5% of it. another note that i think might be usefull for those who want to become affiliates, is a page in the footer of the website / forum dedicated to affiliates, so that next time they come on the website and need the instructions on how to promote cc, they can easily find the help. pretty much like other companies do ... take amazon for example .. if you look on their website, in the footer there's a link to "Become an Affiliate" page. Thanks for the advice and good points Susanch - will work on the affiliate stuff ASAP. its my idea i said some thing similar to this in my forum,,,see it isnt it m idea ? First of all I must thank Sean for bringing the logos of chesscube a bit bigger than what I could have downloaded earlier now I can make my forum avatar and my user avatars bigger.